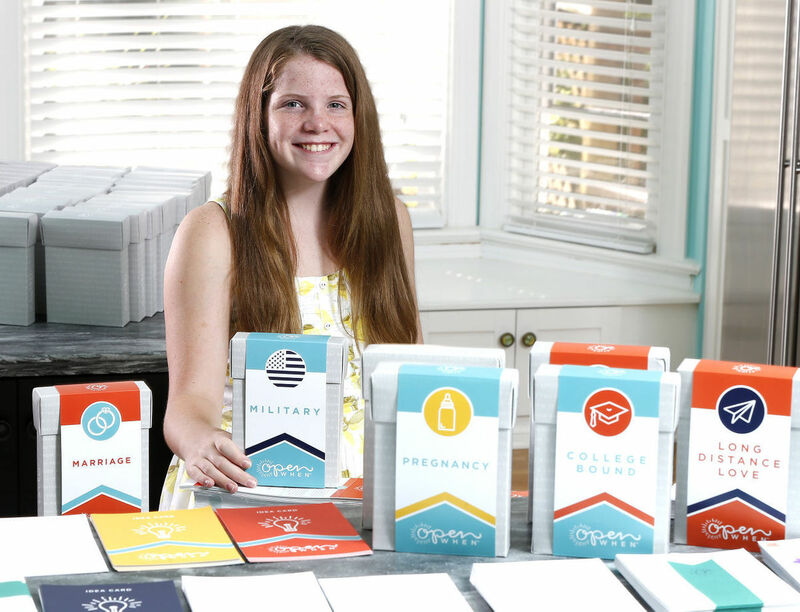 An 11-year-old’s effort to make sure her college-bound brother knew how much she loved him has turned into a business aimed at helping people connect the old-fashioned way: through handwritten notes. 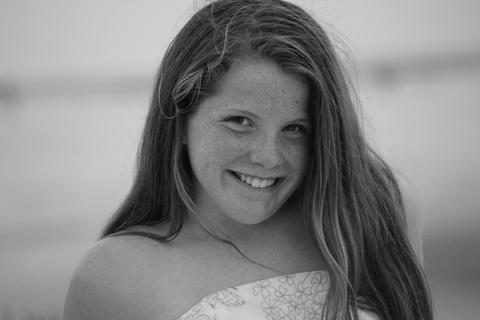 The only girl and the youngest of 5, Bella Geary is not your typical 11 year old. At the age of 8, she lost her dad to suicide. Five months later, she went through another devastating blow when her mother was diagnosed with a deadly cancer which nearly took her life. To say Bella holds her mother and four brothers extra close to her, both physically and figuratively, is an understatement. This girl cherishes Family!! When Bella’s oldest brother, Michael, was preparing for college, he had mixed emotions of leaving the family. Bella, also known as the “happy one” in the family; with an infectious grin, decided to do something a little different for her brother to get him through his freshman year in college. 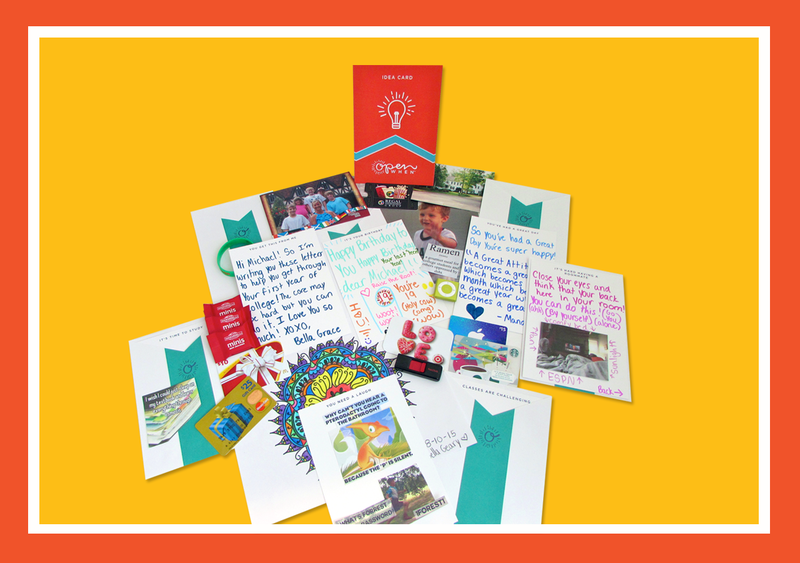 Her goal was to send Michael off with a “box of happiness” that first year away from home. 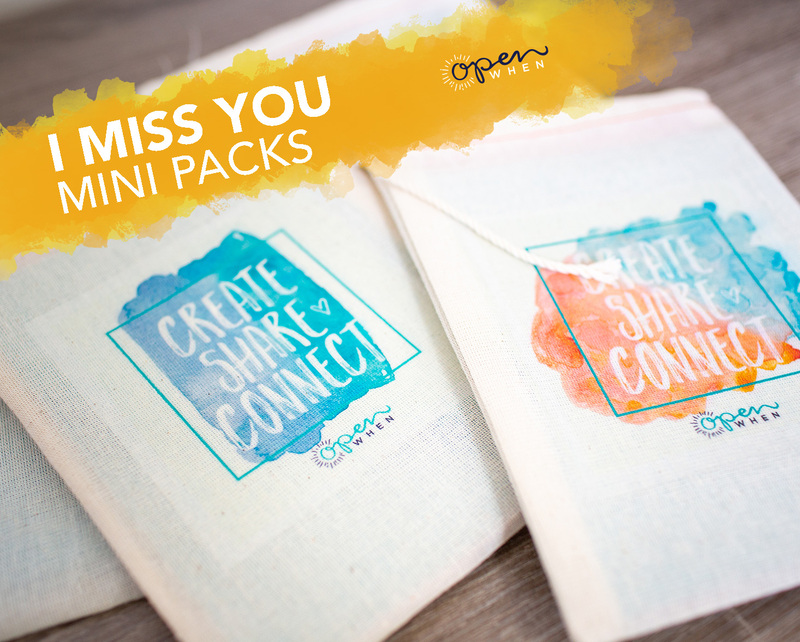 “Open When” is a box of letters for your loved one to open on special occasions when you can’t be there, in person. 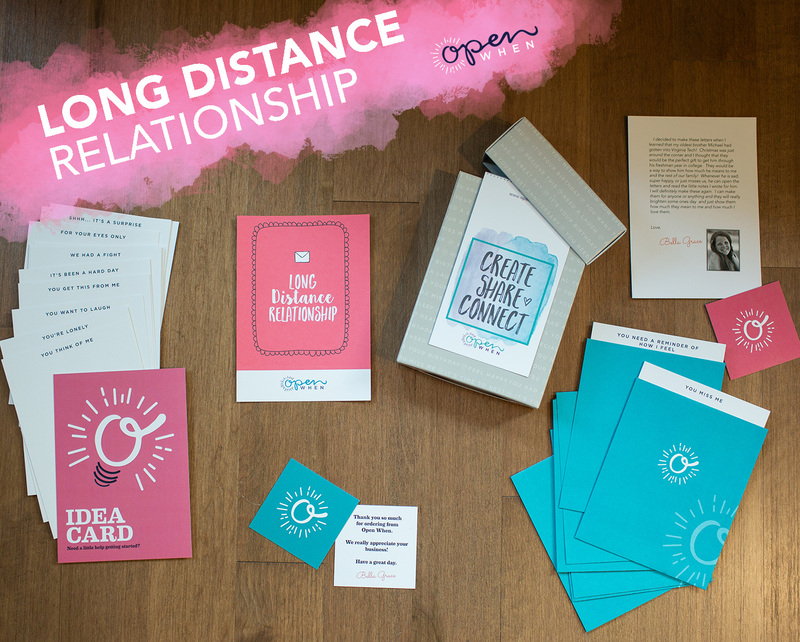 A series of topics ranging from “Open When you miss home” to “Open When you have a fight with your roommate” to “Open When you’re stressed about exams” have been created for you to customize. 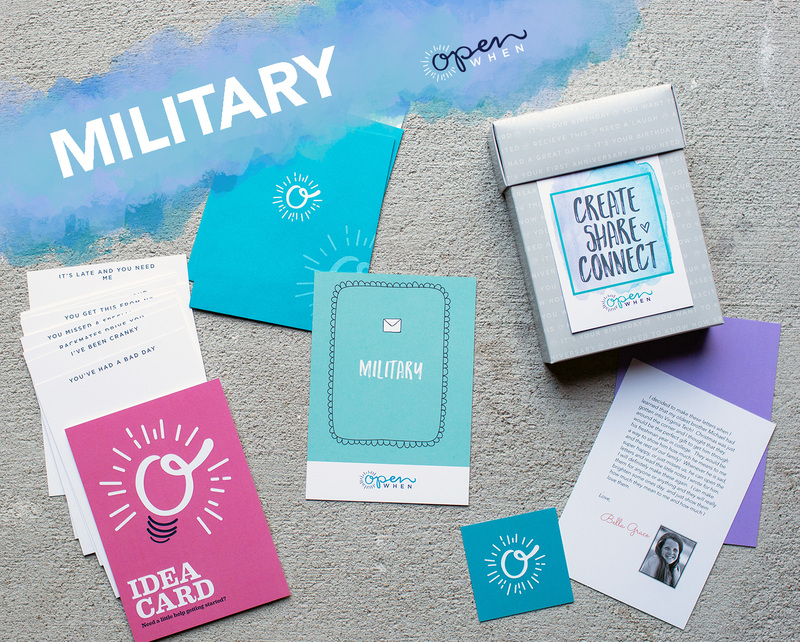 The topics are chosen based on the recipient- college students, pregnant moms, soldiers on deployment – and the letters are personalized by you for your loved one. 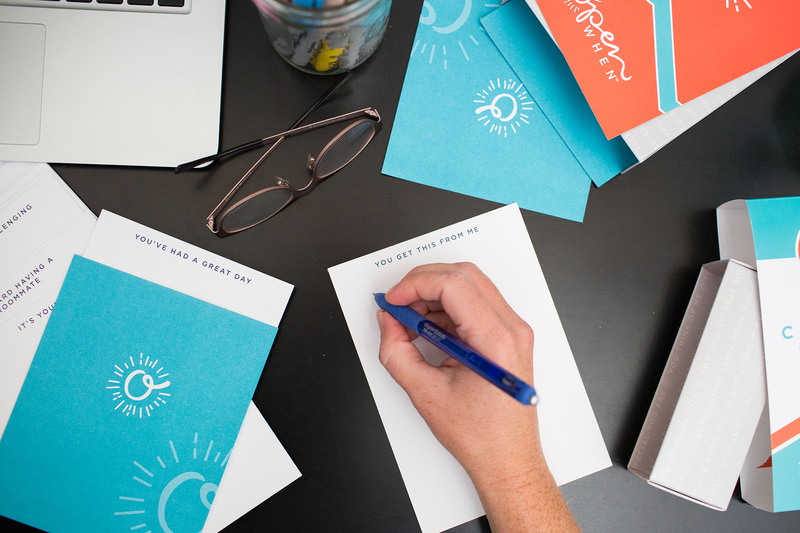 The kit provides fun, creative ideas of extra inclusions to put in the envelopes as well as blank stationary and envelopes to use for personal topics you may want to add. “Open When Kits” are available online at www.OpenWhen.com as well as select gift stores nationwide.